REDCAT (Roy and Edna Disney/CalArts Theater) presents Tetsuya Umeda on Wednesday, April 27, at 8:30 p.m. as part of its U.S. debuts of international performance series. Osaka-based sound and installation artist Umeda creates surprising sound scores with an intriguing variety of found objects, inventions and environmental or architectural elements. Even places that at first glance seem nothing special can have countless characteristics found above the ceiling, or behind the wall, in lightning systems and structures, the wall-material, the construction of the building, etc. Umeda creates his work through a dialogue with everyday tools and scraps, re-purposed machines and toy parts, creating elaborately related systems of cause-and-effect. 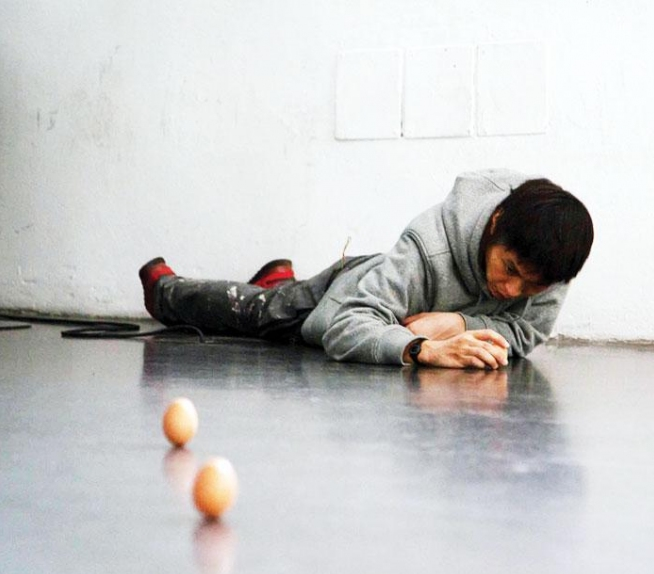 Powered by gravity, wind, centrifugal force or falling objects, Umeda’s work often creates unpredictable, unstable sonic and visual environments. REDCAT is located at 631 W. Second St. in the Walt Disney Concert Hall Complex in Downtown Los Angeles. Tickets are $20 general, $16 for REDCAT members and students, $10 for CalArts students, faculty and staff. For reservations, call (213) 237-2800. For more information, visit www.redcat.org.